HAPPY NEW YEAR!!!! In the early morning hours on January 1st, 2013, an extension of the Mortgage Debt Relief Act of 2007 was passed by the Senate and many are hopeful will also be passed in the House by today. The legislation dealt with many issues, but relevant here is the amendment they made to the 2007 Act by striking the expiration date of “January 1, 2013” and inserting “January 1, 2014”. Without this extension, any debt forgiven by a lender due to a short sale, modification, or deficiency waiver would be considered taxable. Recall from previous posts, cancelled debt is considered income by the IRS and is taxable as such. However, provision of the federal law that expired at midnight, permitted borrowers to exclude certain cancelled debt from their income. This is a very important piece of legislation, especially in light of the fact that the real estate market has finally been moving in the right direction. 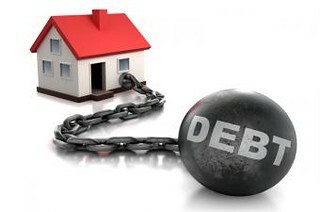 In 2013, mortgage modifications, deficiency waivers and short sales can all still be sought without the fear of having a huge tax bill at the end of the year on top of losing your home and ruining your credit. Thankfully, even with all the “fiscal cliff” uncertainty, this particular amendment has wide bipartisan support and is expected to be included in the final bill. Commentators speculate that 2013 could be the best year for the real estate market in seven years! If you are contemplating a short sale, or have held off pursuing one because of the uncertain tax implications, now is the time to act! If you are falling behind on your mortgage payments or facing a foreclosure in Southwest Florida, you should speak to a licensed Florida Attorney to discuss your options. Posted on January 2, 2013, in Legal and tagged Amendment, Attorney, Bipartisan, Credit, Deficiency Waiver, Fiscal Cliff, Fort Myers, http://www.kristenpell.com/idx/index.php, IRS, Lawyer, Legal Schmegal, Legislation, Loan, loan modification, Mortgage, Mortgage Debt Forgiveness Relief, Mortgage Debt Relief Act, Mortgage Payment, Property Guiding, Short Sale, SWFL Real Estate, The Guirguis Law Firm, Vernon Guirguis. Bookmark the permalink. Leave a comment.